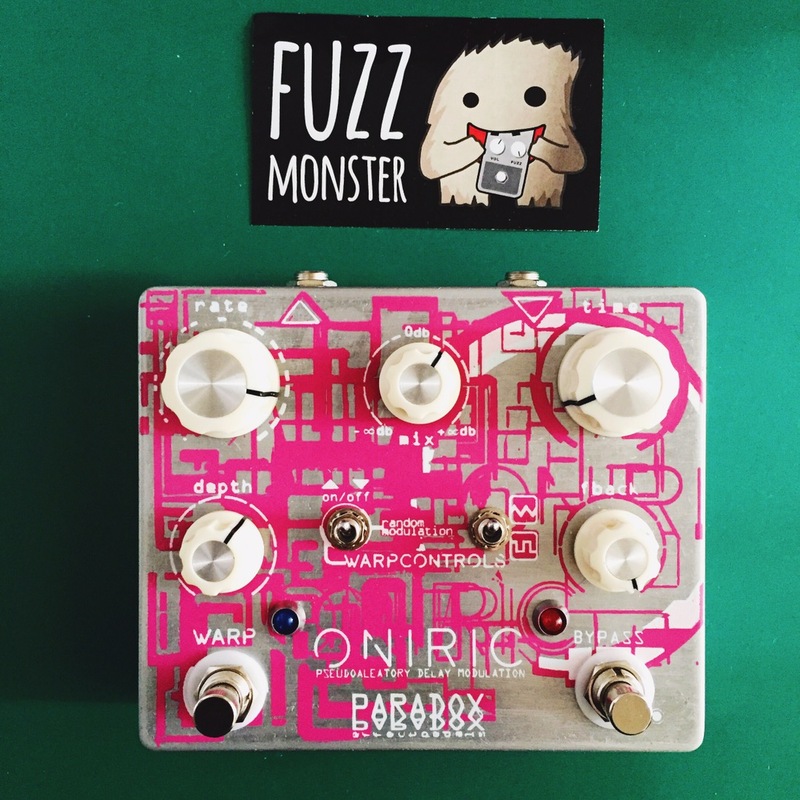 Our pals over at fuzzmonster.dk sent us this Paradox Effects ‘Oniric’ delay to try out, and I’ve been twiddling away at it for the past week or so to see just what this wee box of joy can do. Paradox are a boutique pedal maker from all the way over in Mexico, and a group that I hadn’t heard of before now – so it was particularly cool to get to give this beast a spin. Fun fact: The Greek word όνειρο means ‘dream’, and oneiric is an adjective in English that means to relate to dreaming. I ain’t no metal expert, but this feels like brushed aluminium or something similar, as it is incredibly light but tough. As a nice bonus, it also feels cold to the touch, if you’re into that sort of thing. The pink graffiti-esque design reminds me of a punk version of the London Olympics for some reason, and I have to say that I rather like it. Industrial, but funky. Serious, but fun. Weird, but… you get the picture. For those of you who already have cramped pedalboards, be aware that the one ‘downside’ of the Oniric, if you can call it that, is that it does have a fairly large footprint – so you might need to rejig things a bit to get it to fit into your setup. Two latched footswitches – one to turn the effect on or off, and one to activate the ‘Warp’ mode. 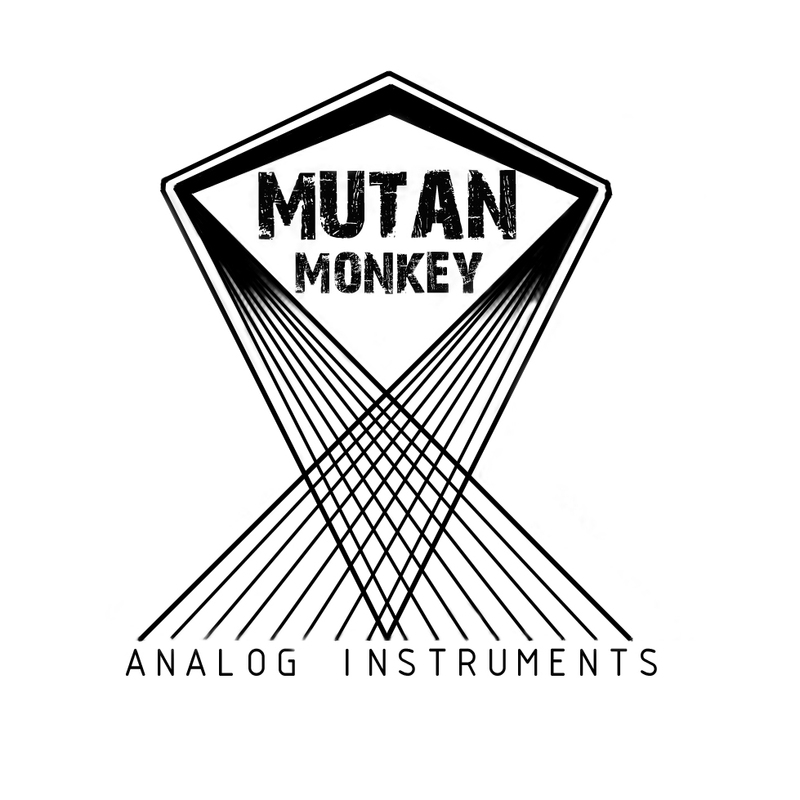 Two mini toggle switches – one to activate the ‘random’ modulation, and one to control the modulation’s waveform. Technical explanations aside, the warp sounds pretty cool, and that’s all that really matters. If you get the settings right it can add a really nice complimentary harmony to whatever you are playing. It sounds awesome with chirpy Gameboy noises, for example. I’m not sure if it’s down to the analogue voice that’s part of the design or what, but there’s something about the sound of the Oniric that I really like. It has a nice warm, natural feel to it that gives the impression you could wrap yourself up in its soft layers like a duvet – or candy-floss (cotton candy for you American). Then again, is candy-floss even all that soft? Either way, you get the idea. 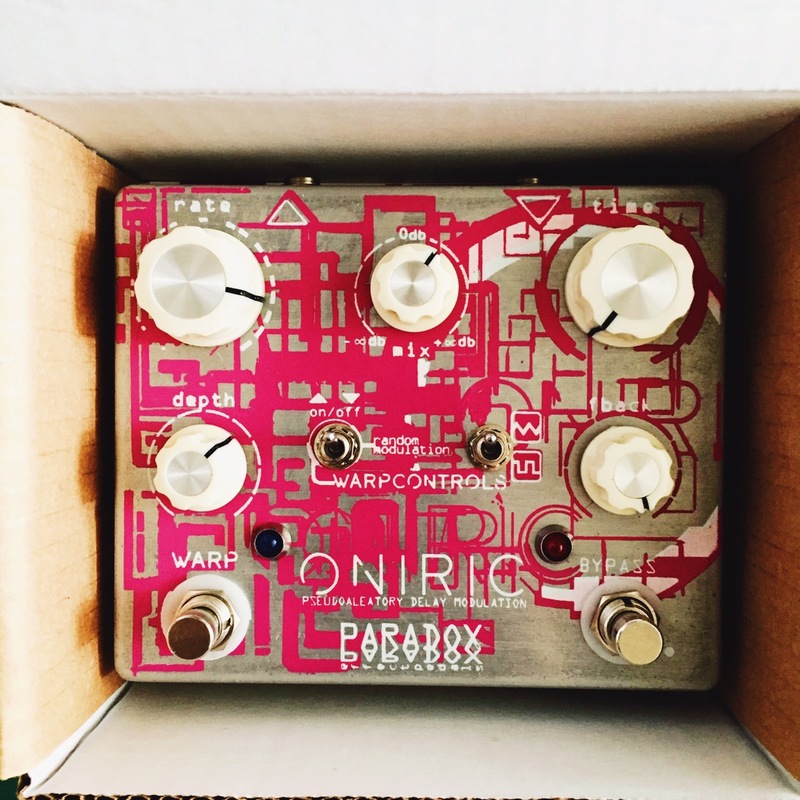 True to its name, it’s entirely possible to create dreamy ethereal sounds with the Oniric. For reference, there is 500ms of delay available. To illustrate that sort of wispy dream-like character, what better to use than a musical saw? Check out the video below for a demo of that, along with some other bits and pieces. 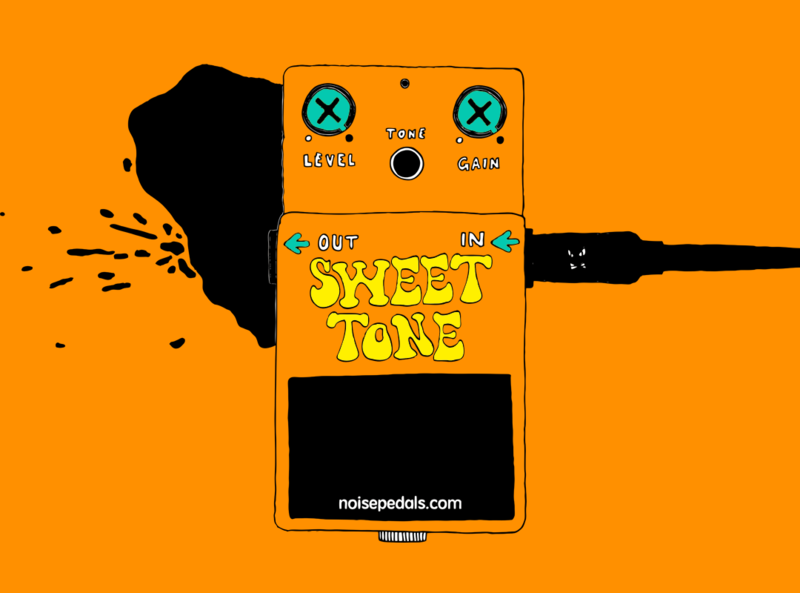 The standard IN/OUT jacks are present on the top side of the pedal, with the 9v power supply plugging into the side. There is no battery option, but when’s the last time anybody actually powered a pedal by battery anyway? After playing around with the Oniric I’ve become convinced that I need to replace the BOSS DD-6 on my current pedalboard with a more interesting delay. If I had cash in hand right now, this is almost definitely the one I would go for. It feels like a warm cuddle on a cold winter’s day, and I’ve come to really love its idiosyncratic charm. How much do you think I’d get for a kidney? 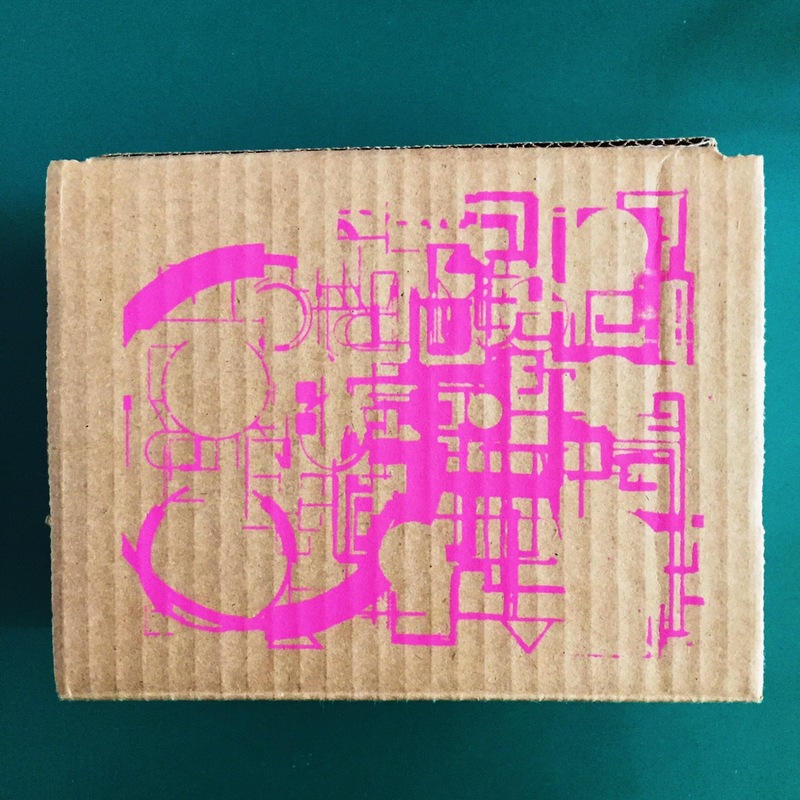 If you want to get a hold of one of these beauties for yourself, you can do so over on fuzzmonster.dk – where there is also a bunch more technical info than we have here. Click the adorable wee guy below to have a swatch.